Tourism in Austria is flourishing, and owners of recreational properties profit from it. 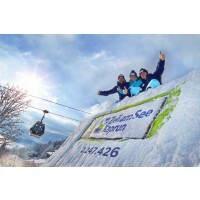 The year 2012 was exceptionally successful for the Austrian tourism. According to up-to-date findings of the Austrian statistical institute, a record number of tourists visited this country. The number of Austrians, who went on a vacation inland, also increased. Tourism in Austria employs approximately seven percent of all employees, including related services, and contributes by approximately 7.5 % into the gross domestic product. Fresh data from the statistical institute bring good news for owners of properties in attractive tourist locations, as well as for potential investors. Properties occupied year-round, which are not intended for recreational purposes. Properties for so-called second home. Properties in this category may not be used year-round. Owners can decide, whether they will use it exclusively for own needs or rent it. Recreational properties intended for further lease. Let’s now focus on recreational properties intended for lease. Owners usually purchase these real properties either to further rent it, or in most cases for the combination of using the property for own purposes for several weeks a year and renting it the rest of the time. When buying this type of real property, it is possible to claim VAT refund in the amount of 20 %, which may be a cogent argument for investing into this property. It should be admitted that the Austrians chose a very sophisticated model, which brings advantages to all involved parties. Owners use the building for vacations and for the rest of the time they offer it for lease via specialized agencies. Then they collect very interesting revenues, usually about 5 to 7 percent before taxes. Local self-administration bodies are also satisfied, as they don’t need to worry about large number unused accommodation capacities. Thanks to this system, the accommodation offer increased significantly, which in turn have other positive effects on the local economy. The foreigners are mostly interested in Alpine resorts, such as Kaprun/Zell am See, Schladming/Ramsau am Dachstein, Zillertal/Hintertux or Gastein. Let’s now have a look at the situation of tourism in the most popular area, Kaprun/Zell am See, based on the statistics. According to the statistics, the season of 2011/2012 was the most successful tourist season in the history. The number of overnight stays in the region reached amazing 2,247,426 – that means a 7.45 percent increase. 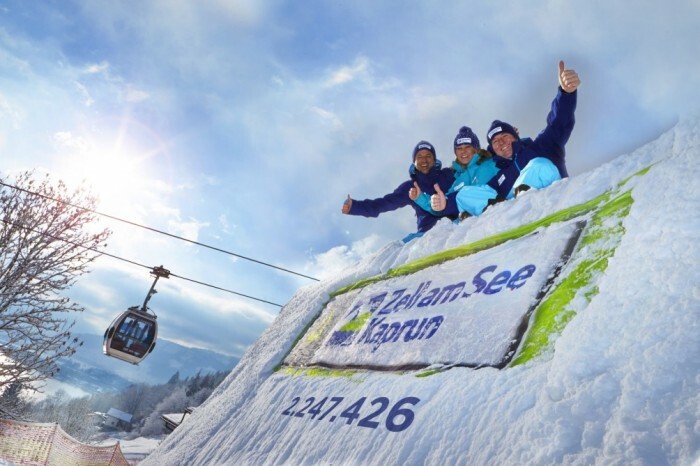 The region of Zell am See/Kaprun reported an increase of 11.43 % in the number of overnight stays. In addition to the number of overnight stays, the number of visitors also increased. The year-on-year comparison for 2012 indicates an increase of 13.46 percent, out of which 8.91 percent for Kaprun itself. The reasons for this success, however, are not only the excellent snow conditions or the possibility of glacier skiing in Zell am See/Kaprun. The exceptional popularity of the region is also caused by the elaborated marketing strategy and high-quality services for tourists. Kaprun also benefits from the attractive combination of “glacier, mountains, lake”, which they brilliantly take advantage of in their promotion campaign. Good news, which confirms the high quality of local services, is the increasing number of visitors who return into the region. » See our offer of real properties in the region of Zell am See/Kaprun. Other Austrian regions can also be satisfied with the development of tourism, for the number of overnight stays in the whole Austria for the period between January-November 2011 increased by 4.2 percent, which is the highest year-to-year increase since 1994. Higher number of overnight stays was also reported by all Austrian provinces. For example, in Vienna there was 7.5 percent increase, in Vorarlberg 6 percent and in Salzburg there was 4.9 percent increase. These statics indicate a trend towards hotels with higher standard, i.e. four of five stars; the number of overnight stays in such hotels increased by 5.2 percents. Shorter vacations are another trend. One third of tourists choose to stay 5 to 8 days. In addition to domestic travelers, the number of tourists is also increased by the neighboring Germany; a large number of tourists also come from Italy, Russia or Switzerland. » See our offer of real properties in Austria.